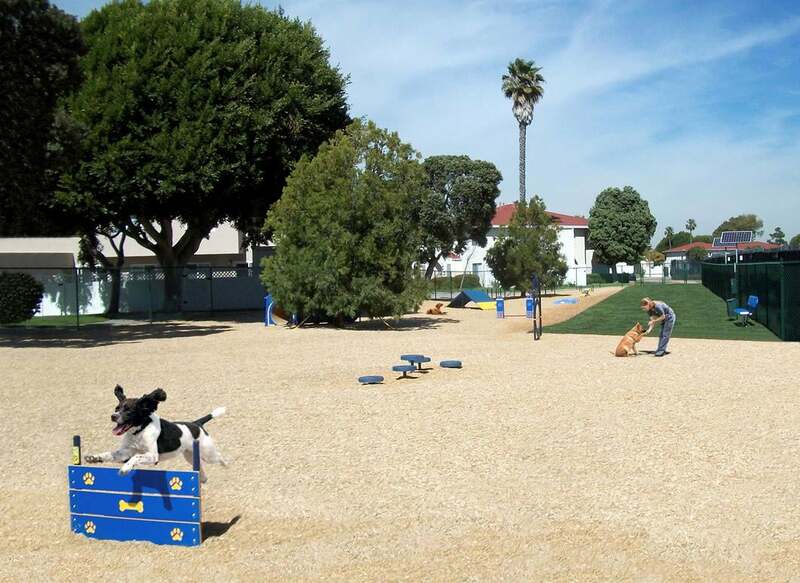 Woof Fiber (or EWF) is made of specially ground, non-toxic wood; it helps to reduce mud puddles, craters, dust and dirt in your dog park. Because the longer fibers will interlock together, the surface actually improves with age and use. Non-toxic; free of chemicals, pesticides and/or anything that could be harmful to a pet. No geotextile or landscape fabric needed. Just install directly into your dog park! Free of bark, twigs, leaves and other debris that traditional mulch has which leads to faster degradation and might be treated with chemicals. As an all-natural product, please note the material may vary slightly in color and particle shape due to the variety of trees used in each run. Woof Fiber is an all-weather surface; under hot conditions, it's practically dust free. After heavy rainfall, it can be used immediately with no mud or cupping, and it won't freeze until well below 32º F.
Engineered Wood Fiber is made from virgin wood fibers that have been screened to yield particles that generally do not exceed ½″ x 2″ in size. This longer shape, along with the smaller-size particles, aids in the interlocking process to reduce movement and eliminate splinters. For quality control purposes, the material must be made from virgin lumber sources to avoid contaminants, and must be suitable for use by both children and dogs. Surfacing material must be ADA accessible, and must be tested to comply with ASTM F-1951 Accessibility requirements, with recent test data available. Delivery will be made on self-unloading trucks to a paved point closest to the dog park that is accessible by a semi truck up to 70' long. Job site must have minimum clearance of 12' entry and 14' height. To estimate the proper amount of material needed, multiply your area in square feet by a factor of .025 to get the number of cubic yards required. This number includes the extra material required to allow for initial fluff, and should yield a true depth of 6″ after settling and compaction. Blown-in installation available in certain areas for an additional cost. Contact us for a quote or sample!